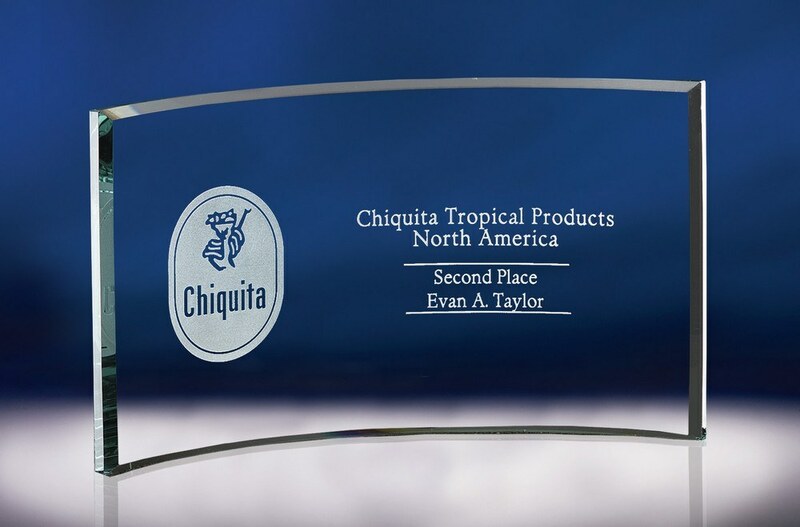 Customize achievement awards for your employees with our Personalized Large Jade Crystal Arc Award customizable with a single logo imprint. Uncomplicated yet stunning, the Large Jade Crystal Arc Award will occupy desks, shelves, and your recipient’s hearts, for years to come. Made from jade crystal, the award is available in large size, and features a simple yet elegant styling, with its curved, beveled, and free standing design. It has abundant space for your company information and award related messages. It is ideal for awarding to philanthropists, volunteers, and supporters of nonprofit causes. Imprint your business logo on the award and effectively promote your brand to new and exciting customers.